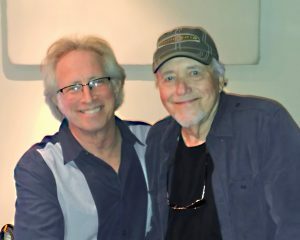 Country music’s Hall of Fame singer Bobby Bare, was in Kent’s recording studio, Digitracks Nashville in August. The veteran singer – songwriter sang a vocal track for a Coby Greer version of “500 Miles Away From Home.” The song was a hit single for Bobby in 1963. 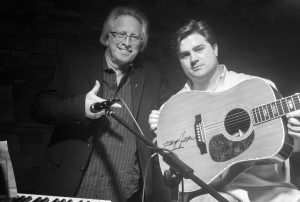 Coby, a longtime friend of Kent’s and talented tradional country music singer – songwriter, has released the song as a duet. Find out more information about the song at facebook.com/cobygreer. This entry was posted in Kent's Updates and tagged Bobby Bare, Coby Greer, Digitracks Nashville. Bookmark the permalink.